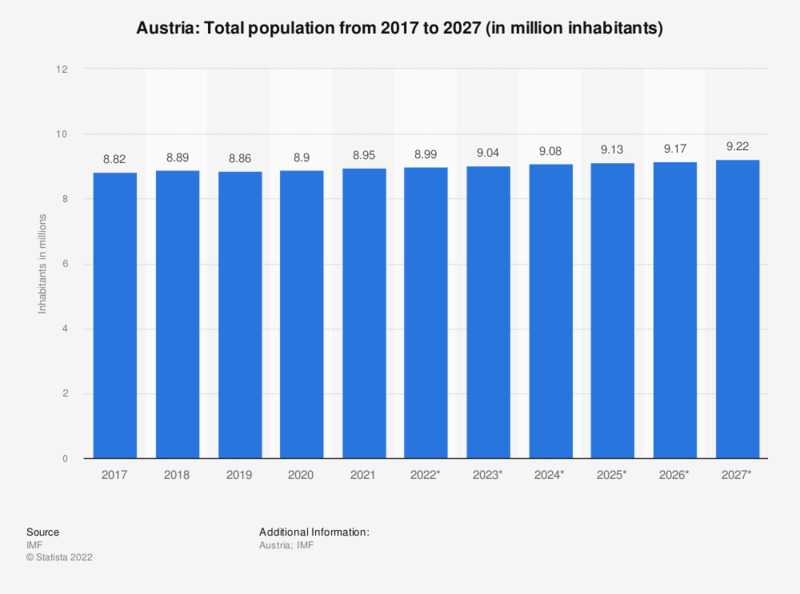 The statistic shows the total population of Austria from 2014 to 2018, with projections up until 2024. In 2018, the total population of Austria amounted to around 8.89 million inhabitants. See figures for Switzerland's population and the population of Italy for comparison.